What Are Pattern Edge Scissors? 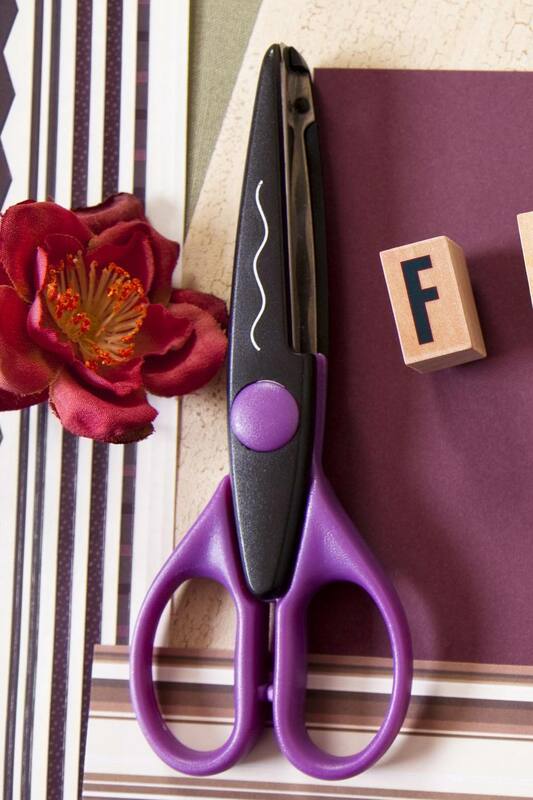 Create decorative edges with pattern edge scissors. Pattern edged scissors are similar to pinking shears, however, instead of the single zigzag shaped cut, they have a variety of fancy shaped cuts. Therefore when you cut with pattern edge scissors, instead of having a single straight line, your paper will have a fancy patterned edge. These make a good addition to your crafting kit. These scissors are a good way to add some additional interest to a rubber stamping project. Try cutting out a simple rubber stamped image using pattern edged scissors and adhering this to the front of a card blank to create a quick and pretty card. Pattern edge scissors are known by a variety of names including decorative edge scissors, patterned scissors, paper shapers or paper edgers and are available from stamping suppliers and other craft stores. Pattern edge scissors are available with a wide range of patterns, from gentle curves and scallops, through to deeply jagged edges. Each type of pattern is relatively easy to work with, however, the more jagged random patterns are easier to match as new cuts in the paper are made, while the more smooth gentle patterns can highlight any inconsistencies. Special child sized pattern edged scissors are available and these have more simple lines and are smaller for little hands. These are also often made from plastic and are only suitable for cutting through paper. Most pattern edge scissors are made for use by both right and left-handed people. Even though right-handed scissors can be difficult for a left-hander to use, the pattern edge scissors are used for small projects and the short amount of cutting required generally does not cause a problem. You very much get what you pay for! You may find pattern edge scissors for sale for a very low price. Be careful to ensure that they are not cheap in quality too. Cheaper scissors have shorter blades which are made from plastic and are better suited to thin papers than heavy card stock. The scissors are available singly or in multi-packs. Buying a single pair is, of course, cheaper, however, the packs offer greater value for money. As some multipacks contain upwards of twelve different patterned pairs of scissors, they are likely to offer plenty of choice for every project. Multiple packs are often sold in storage cases making them handy to store. You will find pattern edge scissors in your local craft store or online (Compare Prices). Remember, less is more with decorations and adornment. Resist the temptation to use every patterned edge in a design! Cut a square of cardstock using each pair of scissors in a set and hang these from the handle of the scissors to help pick different patterns for projects. Cut the scissors occasionally through the aluminum foil to keep the edges sharp. Cut paper into thin strips with patterned edge scissors to form a fancy strip of paper to adorn projects with. Try combining different patterns on different colors and build up a pattern in layers to create an attractive 3d effect.